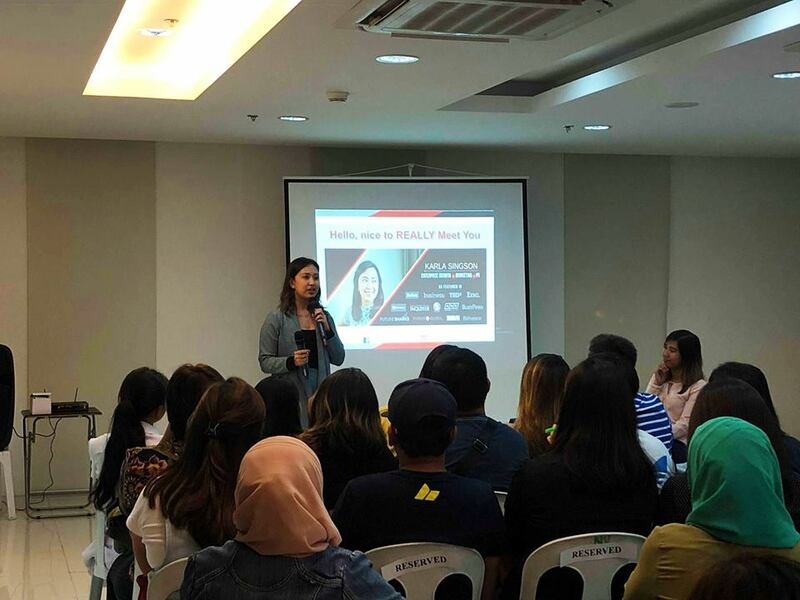 On September 21, 2018, the award-winning Writer, Speaker, Entrepreneur and PREP’s Events and PR Lead, Ms. Karla Singson, just had an amazing time with over 200 aspiring entrepreneurs during the TRIPLE YOUR SALES IN 30 DAYS free event at the Abreeza Place! With the help of Karla Singson’s Davao event planner, she successfully shared her business experiences and tricks that brought her to where she is today! To make her workshop a success, her team at PREP, an event planner in Davao, made sure that the setup was clean, sound system was clear, and that there were some refreshments to make sure that guests were well taken care of. To catch her next workshops and speaking events, you can follow her official Facebook Page, Karla Singson and @karlastefan on instagram. For this event, the Guest management, Event setup and Supplier Coordination were done by PREP, a corporate event planner in Davao. When planning on doing a workshop without stressing about the small details, make sure to get in touch with the best event coordinator in Davao, PREP, and shoot us an email at prepdavao@gmail.com!